Wild mushrooms should always be cleaned thoroughly. The smallest amount of sand can ruin the entire soup. Make sure you buy your wild mushrooms from a reputable grocer so that you can always trace their origin. Saute the garlic and onion with corn oil in the hot pan. Add in mushroom stir fry until brown and fragrant. Bring 2 liter of water to a boil and add in Knorr Cream Of Mushroom soup powder stir until smooth. Simmer for 5 minutes and ready to use. 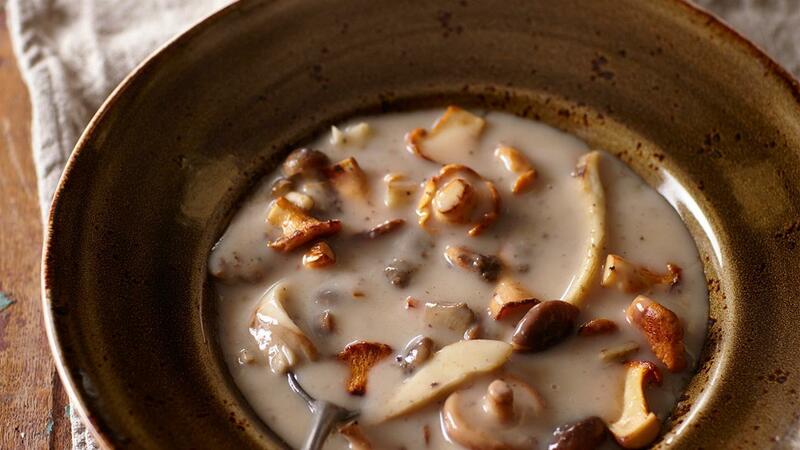 Divide the mushroom over the soup plates and ladle the soup over them.